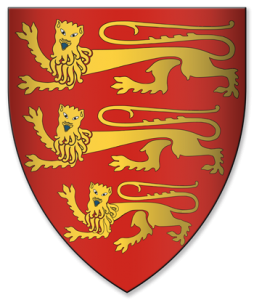 Born at Caernarfon Castle on 25 April 1284, Edward was the fourth son and one of sixteen children of Edward I (1239–1307) and his first wife, Eleanor of Castile (1241–1290). He was invested as the first English Prince of Wales in 1301 and, as the eldest surviving son, became King of England in 1307, aged just 23. He married Isabella, daughter of Philippe IV of France in 1308 when Isabella was but twelve years old. Edward, the future Edward III was born in 1312, the first of four children to the marriage. Edward also had at least one illegitimate son. Yet Edward is remembered for his close relationships, firstly with Piers Gaveston and later with Hugh Despencer, though whether these were sexual or fraternal is impossible to prove. Whatever the actual nature of these relationships, it was their intensity and favouritism that was resented by other barons resulting in profound hostility between the King and the English nobility throughout his reign. The quasi-judicial execution of Gaveston in 1312 with the approval of the Earl of Lancaster and others can only have fuelled Edward’s hatred of Lancaster, his cousin. In July 1300, Edward had his first military experience when he was present at the siege of Caerlaverock, aged 16. He was also present during five other Scottish campaigns. Yet he was not an experienced military commander and it is the disastrous campaign of 1314 with which Edward is irrevocably linked. Though he commanded a large army, four Earls had refused to attend. The three Earls who were present failed to provide a unified command structure. Edward himself fought bravely, even having his horse killed beneath him, but he was eventually led away to safety by the Earl of Pembroke. Edward’s reign deteriorated from crisis into civil war as factions polarised between the King and Lancaster. In 1321 Lancaster led an armed rebellion, attacking lands of Edward’s supporters. A campaign led by Edward culminated in the defeat of Lancaster at Boroughbridge in March 1322. Lancaster and 26 others were executed. Triumph was followed by further calamity. A crisis in France required Queen Isabella to mediate with her brother the French King. She refused to return from France, demanding that Despenser, the king’s ruthlessly ambitious favourite, be removed from court. She also became the mistress of Roger Mortimer of Wigmore, an exile. She returned to England in 1326, with her son, Mortimer and supporters. Edward, deserted by his followers, fled with Despenser. Captured together, Despenser was executed and the young Prince Edward declared guardian. On 1 February 1327 Edward abdicated the throne in favour of his son. The former King Edward II was imprisoned at Berkeley Castle in the custody of a fellow Bannockburn combatant, and died on 21 September, probably murdered on the command of Mortimer and Isabella, the joint Regents for the young king.